For those of us who love the ocean and (almost) everything in it, there is a shared frustration at how few great ocean movies get made. Fortunately, over the years, Hollywood has managed to produce some really great ocean films that have somehow managed to hit the spot (and no I’m not talking about the appalling “Waterworld” before we start). 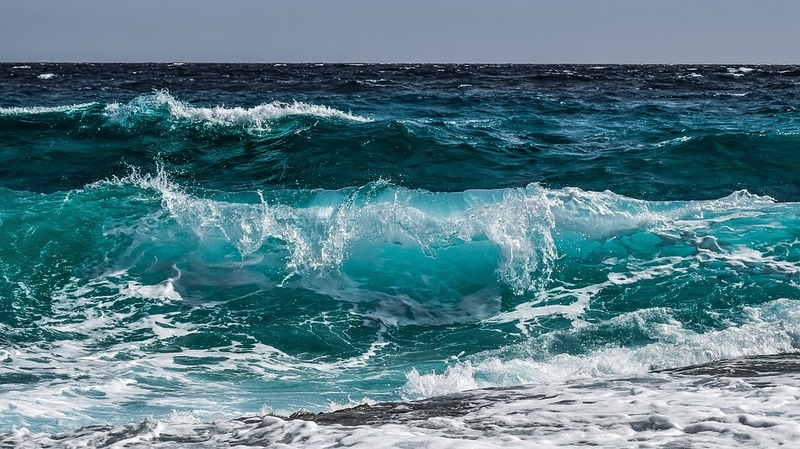 So if you are planning a night in and are looking for some great ocean or underwater movies to watch, then look no further because we have compiled the best ones right here. Jaws was the film that both made the name of director Steven Spielberg and made just about everyone in the world afraid to go in the water. Based on an adaptation of Peter Benchley’s novel by the same name, Jaws tells the story of a Great White Shark who has taken to eating the people of Amity Island whenever they dare to take a swim. Fortunately, the town’s own half-crazy shark hunter is on hand to help. With some of the finest and most creative underwater shots in cinematic history, The Big Blue is director Luc Besson’s second best film (after the fantastic Leon). It tells the tale of two obsessed freedivers who compete with each other to see who can dive the deepest on a single breath of air. Provided you can ignore the abominable Rosanna Arquette (clearly just thrown in there to help the film appeal to an American audience, this film is one of the top ocean movies ever made. Ever since his film Titanic, director James Cameron has become known as much as an oceanographer as a filmmaker. 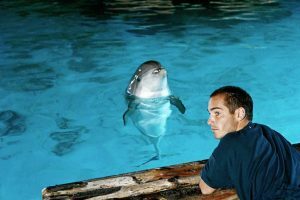 He has undertaken a number of ocean explorations that included becoming the first person to dive to the deepest part of the world’s oceans. Many filmgoers don’t know that he had already made an ocean film long before Titanic. 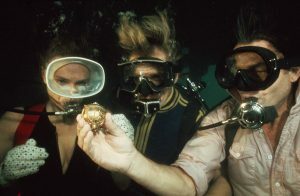 The Abyss is a wonderfully crafted film that tells the story of a group of commercial divers who find themselves having to team up with some Navy Seals to try to recover nuclear weapons from a lost U.S submarine. Things go well until they encounter a bizarre underwater life form. It is a huge surprise that this classic film adaptation of Jules Verne’s novel Twenty Thousand Leagues Under the Sea has not been remade in recent times (I see Hollywood casting Mark Wallberg as the sailor). It has all the elements that audiences love including suspense, mystery, action, and drama. The original film stars Kirk Douglas as a sailor who is part of an expedition trying to find a mysterious sea monster that is sinking ships. 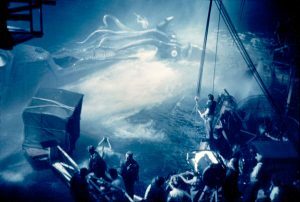 After his ship tries to attack the monster, the sailor gets thrown overboard and is rescued by the enigmatic Captain Nemo and his vessel The Nautilus. Every self-respecting surfer has seen Bruce Brown’s The Endless Summer at least a dozen times. Released over 50 years ago, this was the first great surfing movie (The Endless Summer 2 being another). The film follows 2 legendary surfers around the world as they try to find the best wave. Director Bruce Brown managed to overcome a limited budget by simply narrating the film himself, removing the need for expensive sound recording equipment. 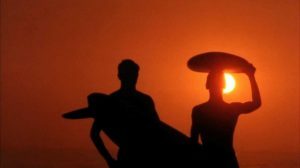 The film became a humorous celebration of surfing and a life spent in the ocean. 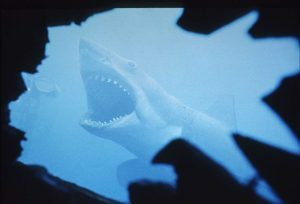 The success of Jaws made writer Peter Benchley a household name. It wasn’t long before another of his books was turned into a film. The Deep tells the tale of a husband and wife who, while diving one day, accidentally discover lost treasure from a Spanish galleon. The only problem is that they also discover morphine bottles from a different wreck that happened to sink in the same place. While the couple tries to find the gold, they quickly realize that a powerful rival is plotting to take control of the operation to recover the morphine. 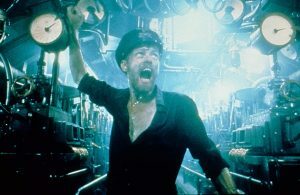 The best submarine movie ever made, Das Boot still remains a masterpiece. It tells the story of a German submarine crew during World War Two. The film still remains one of the most expensive German films ever made and has been translated into numerous other languages. Comedy master Wes Anderson turned his imagination to the ocean for what was to be his fourth film. It stars Bill Murray as the oceanographer Steve Zissou, who assembles a bizarre group of people to help him find the “jaguar shark” that ate his partner. Bill Murray is at his The Royal Tenenbaums best in this hilarious underwater comedy. Ok, I have to start by saying that I am not going to get into the “who was the best James Bond” debate. While many Bond fans will prefer Sean Connery’s Thunderball, The Spy Who Loved Me has everything that a James Bond movie should have. The plot is definitely better and who can not laugh at Roger Moore’s corny one-liners. 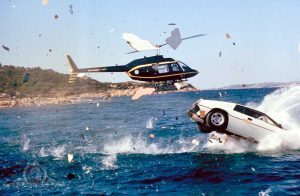 Added to that, the film has far more gadgets that includes an underwater Lotus Esprit. For all his hard work in saving the world, it seems unfair to leave Sean Connery off this list. So to make amends, here is the 1990 film The Hunt for the Red October. Sean gives another rock-solid performance as a rogue Russian submarine captain who has decided to defect. Quite amazingly, this film was based on a real-life Russian captain who tried to do just that. Unfortunately for the real-life Connery, he was captured and taken back to Russia to eventually be shot.